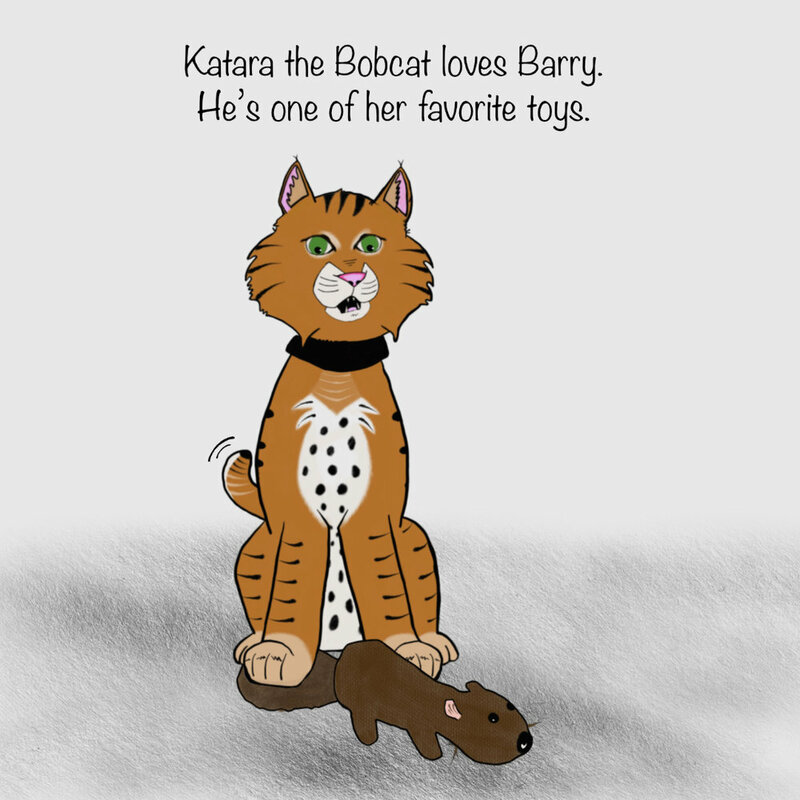 KATARA THE BOBCAT is a comic book based off of a real rescued bobcat. Katara has been raised as a pet, yet respected as a wild animal. On this site you will see the comic book, plus images and video of the real Katara. Thank you for visiting! In the comic book, Katara lives with her (human) dad, Jeremy and her best frenemy, the kitty cat, Sky. Sky is Jelly of Katara. Over the years Sky will become friends with Katara. Still Jealous of her though! Our pets love their toys! Though Katara is technically a wild kitty she is no different than any other pet. Just like a dog or cat, Katara loves her toys. She carries them around, naps with them and even shares them with her frenemy cat, Sky.